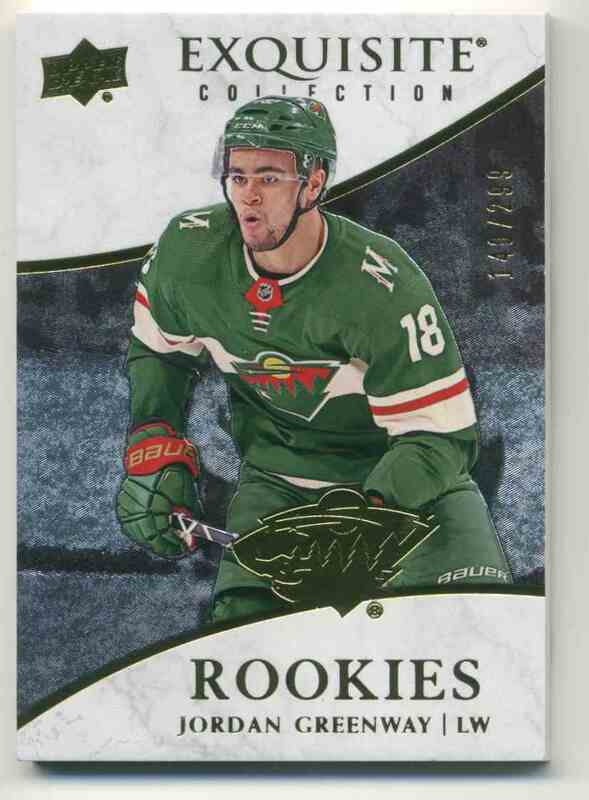 This is a rookie Hockey trading card of Jordan Greenway. 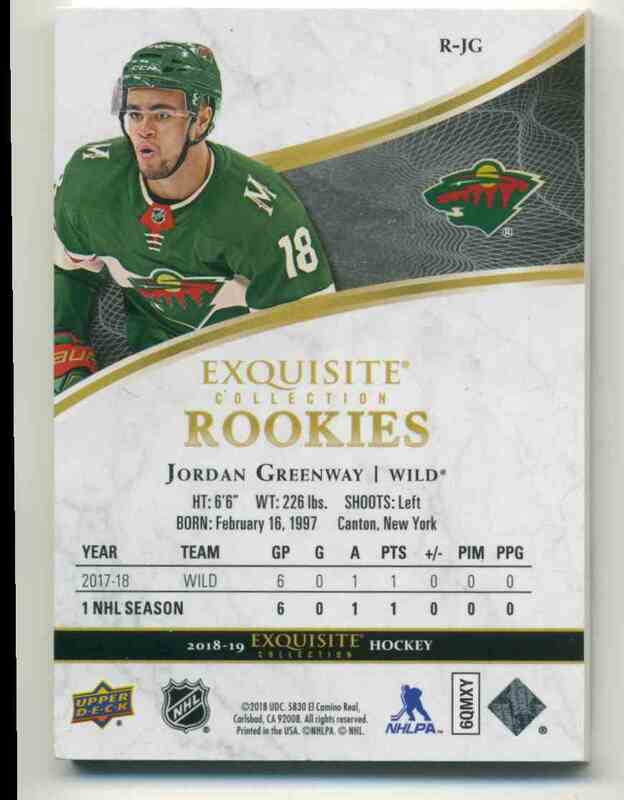 It comes from the 2018-19 Upper Deck Exquisite Collection set, card number R-JG, serial numbered 140/299. It is for sale at a price of $ 9.60.